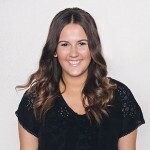 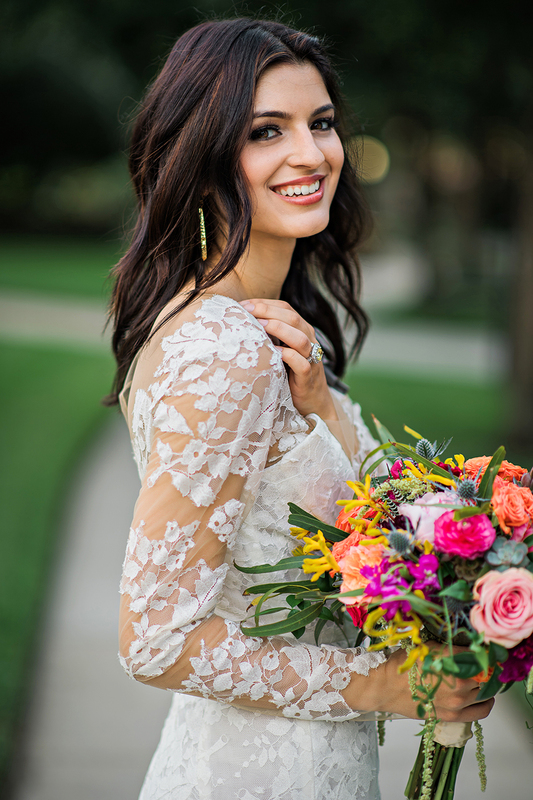 This shoot was the final component of Kristen’s Watermark Workshop. 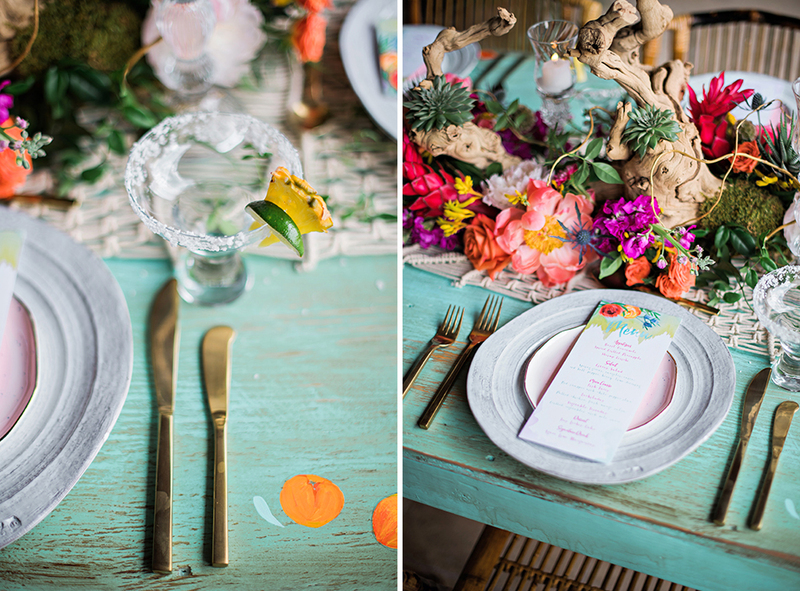 This was an intensive photography-business workshop that gave the photographers a chance to shoot a unique concept, unlike most weddings they have shot. 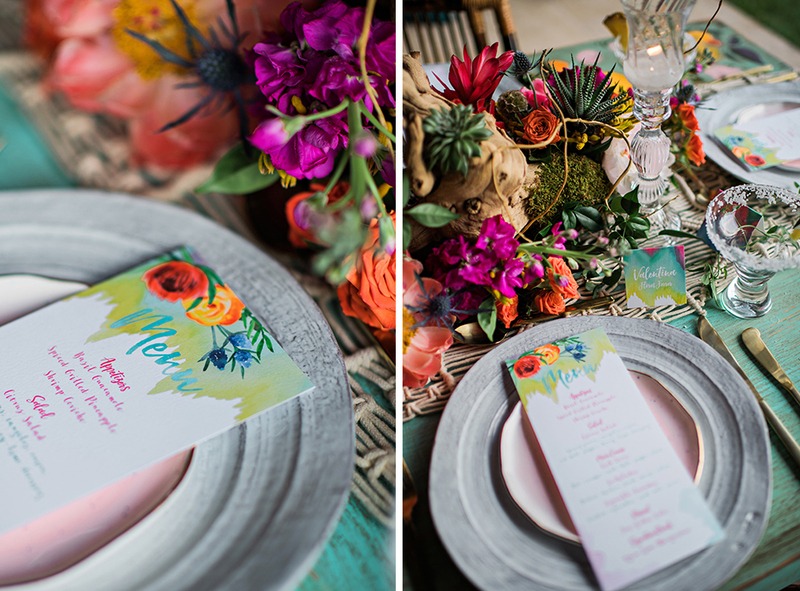 Our last workshop incorporated a Moroccan Tea Party inspiration shoot, so it was fun to conceptualize an entirely new design. 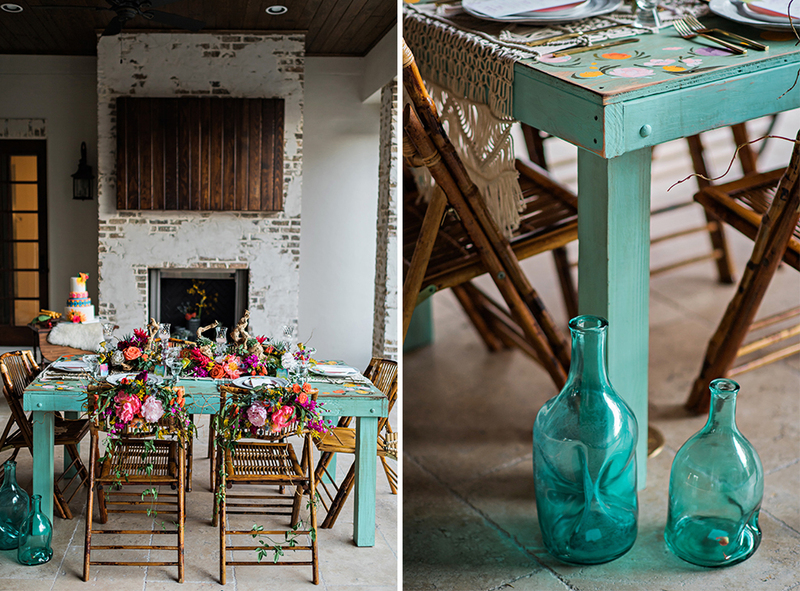 One thing that did carry over into this shoot was the custom table. 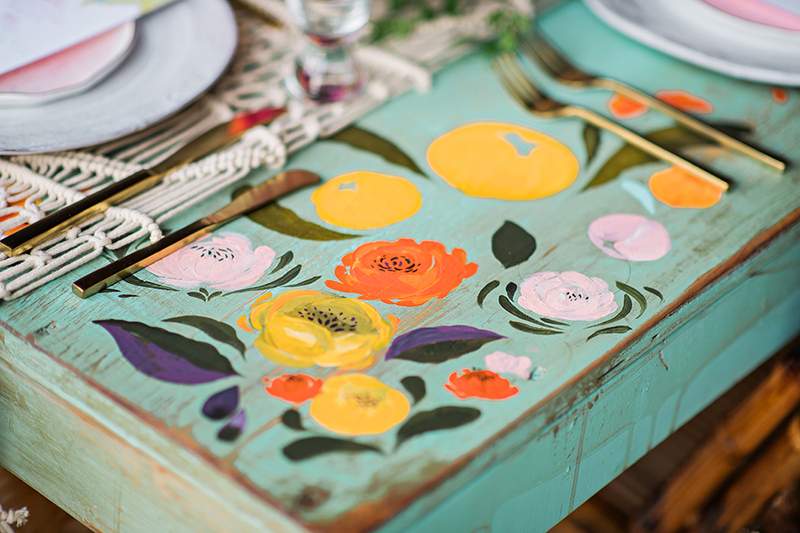 This time around we decided to have Gabe, an apprentice photographer here at Kristen Weaver Photography, hand painted and stained the table. 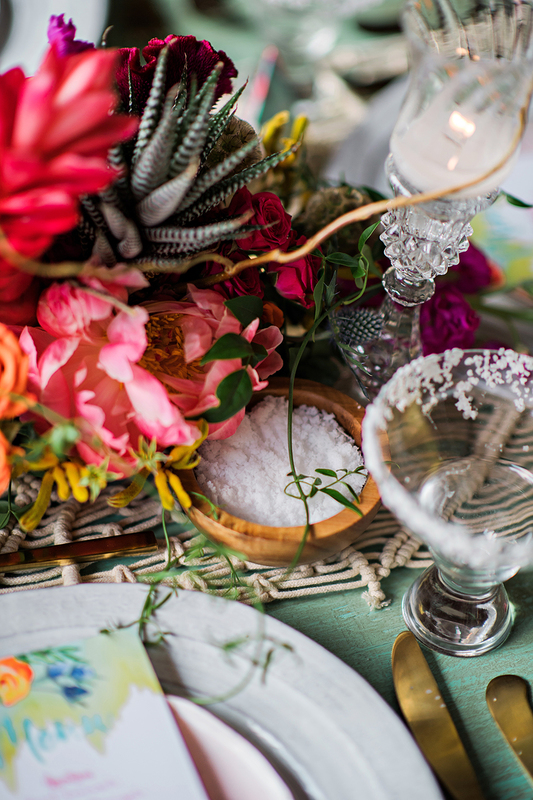 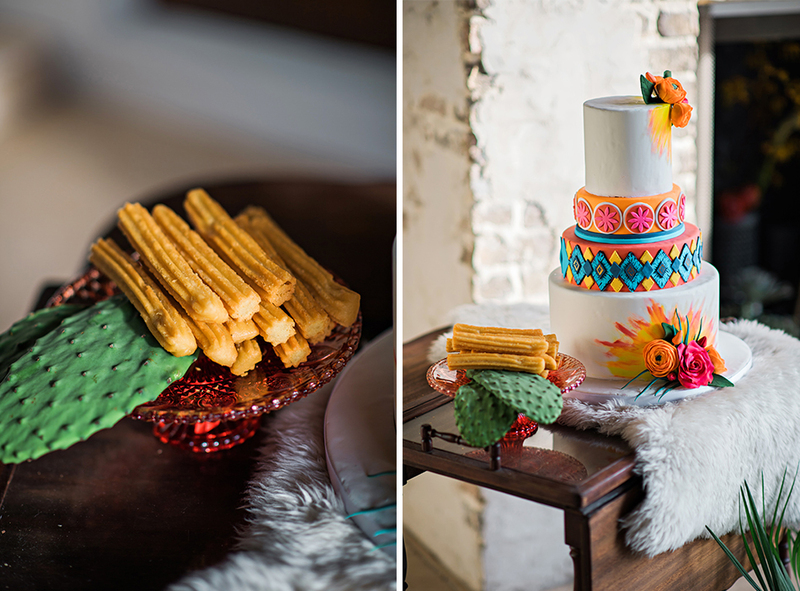 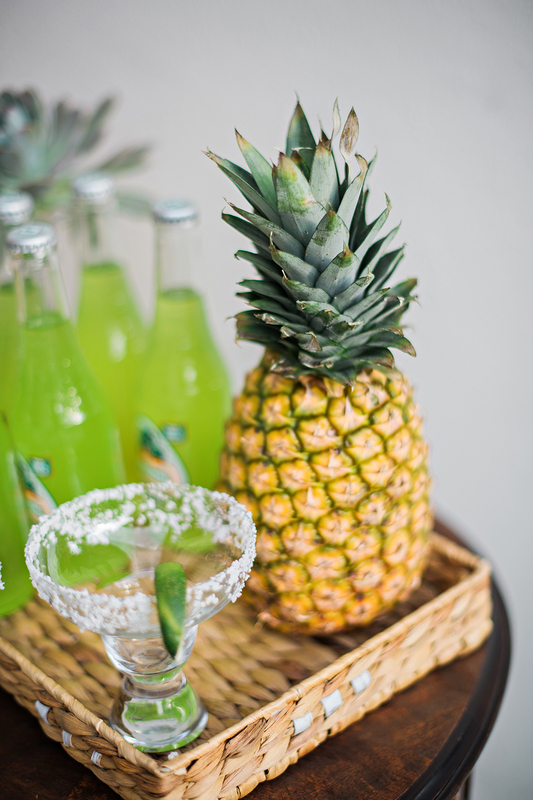 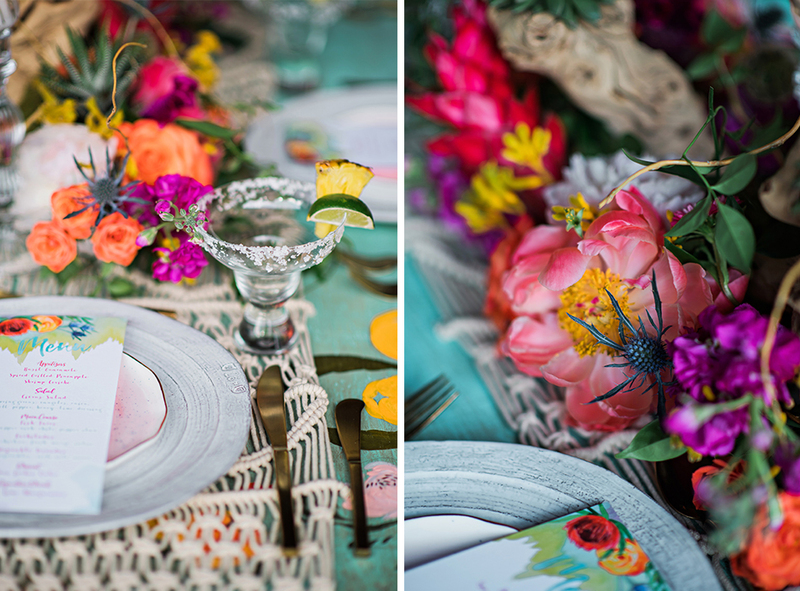 This gave a Mexican feel to the shoot and worked in complete harmony with the floral centerpiece. 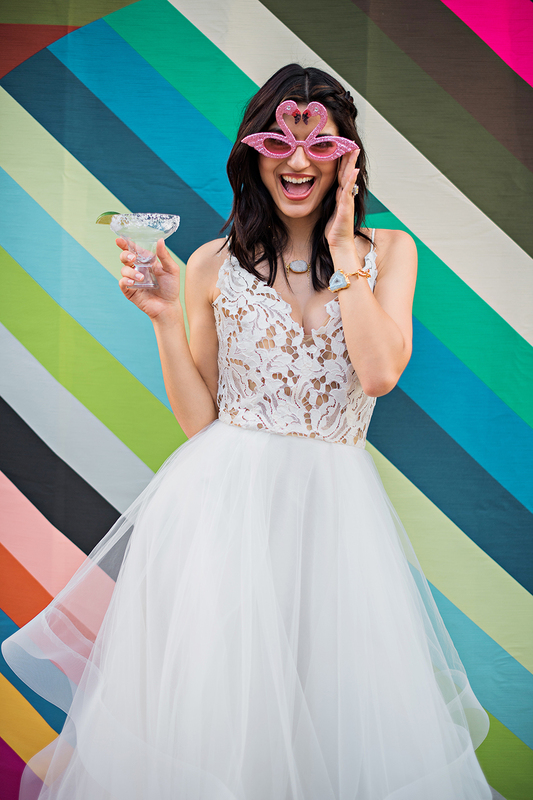 Another incredibly fun aspect of this shoot was contribution of so many KWP brides! 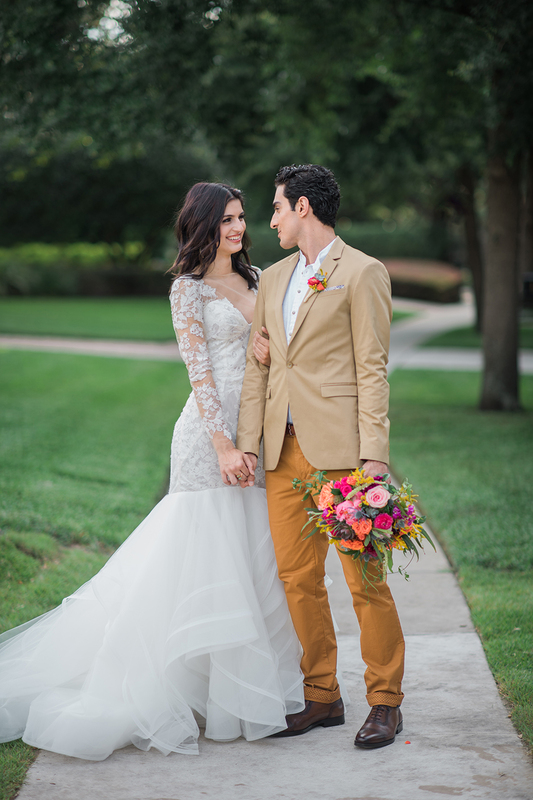 We’ve worked with KEJ Productions numerous times, and it’s always such an incredible experience; Elaine and Kaleb are serious #relationshipgoals. 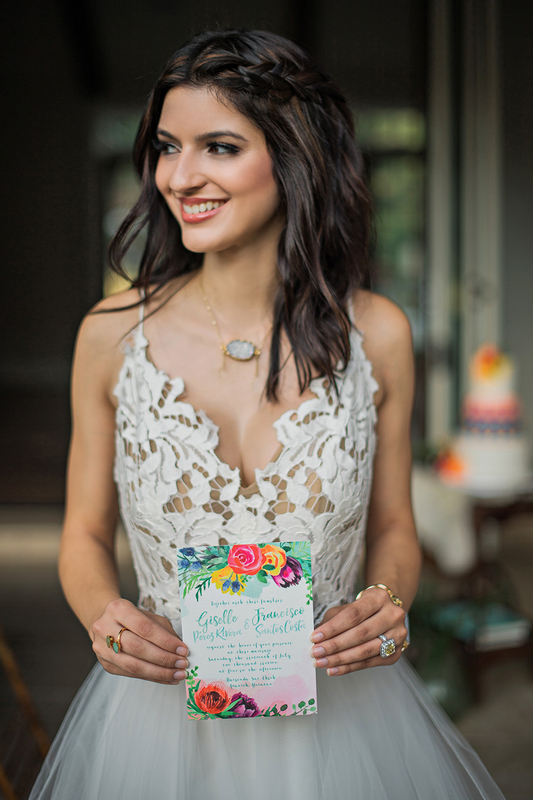 We all had a field day when Emily, another KWP bride, from Emma Lee Designs showed up with her gorgeous jewelry. 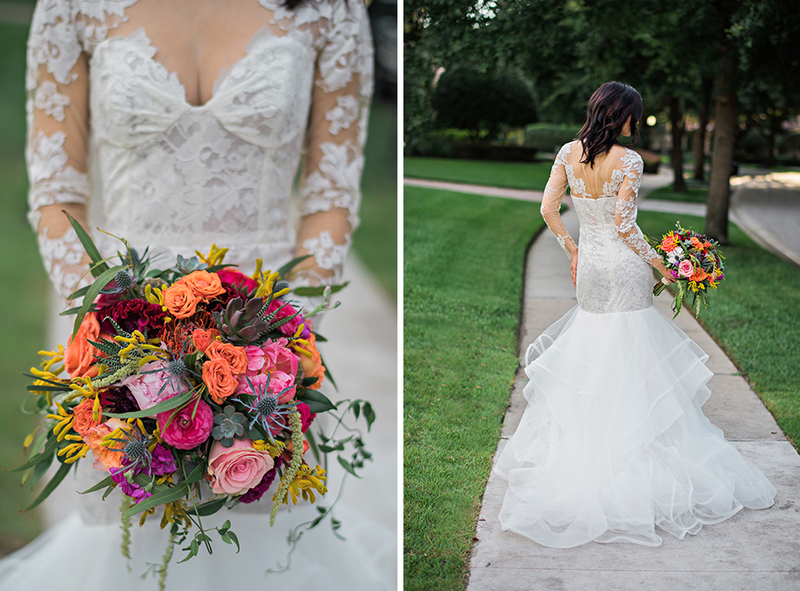 Lastly, the jaw-dropping private home that we shot is also a great friend and client of Kristen’s, and of course a KWP bride! 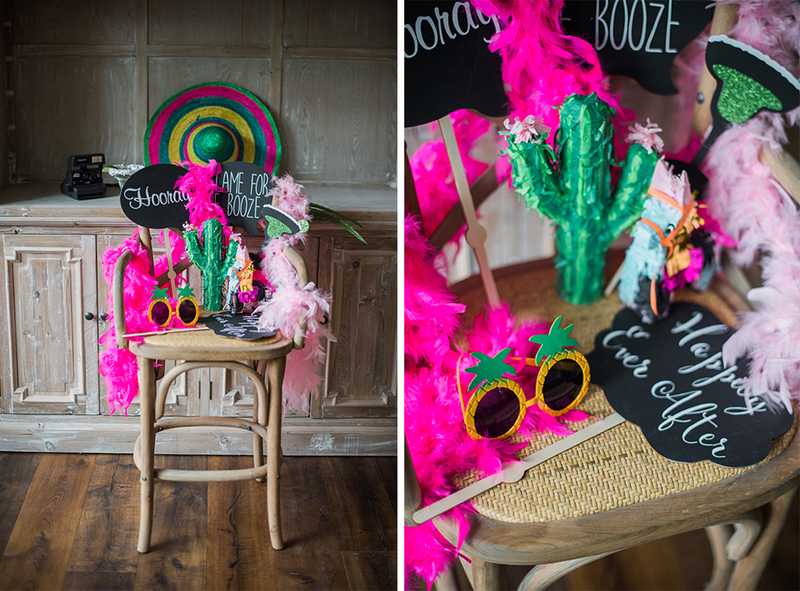 We also had a ball with the Flash by KWP photobooth. 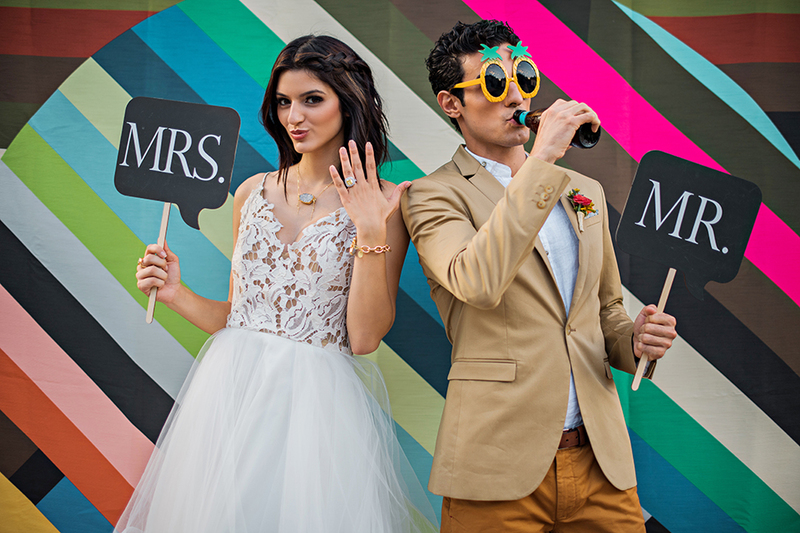 With an array of props and goofy poses, these are some of my favorite shots of the day. 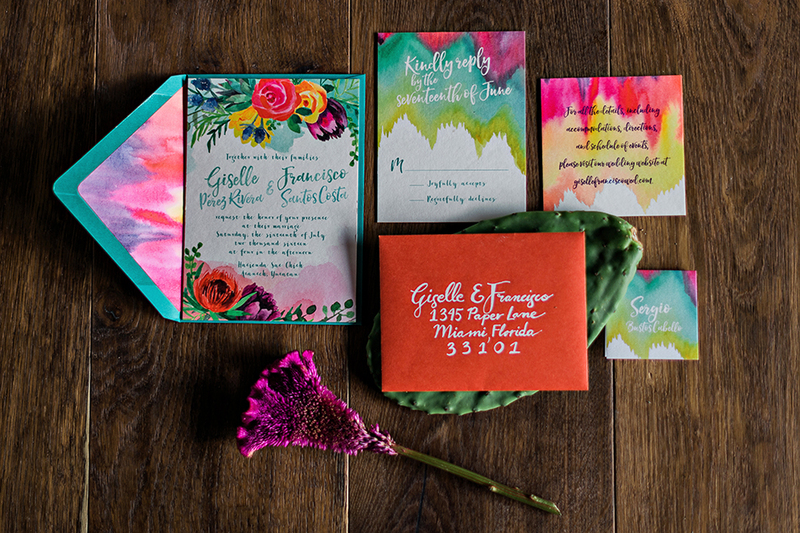 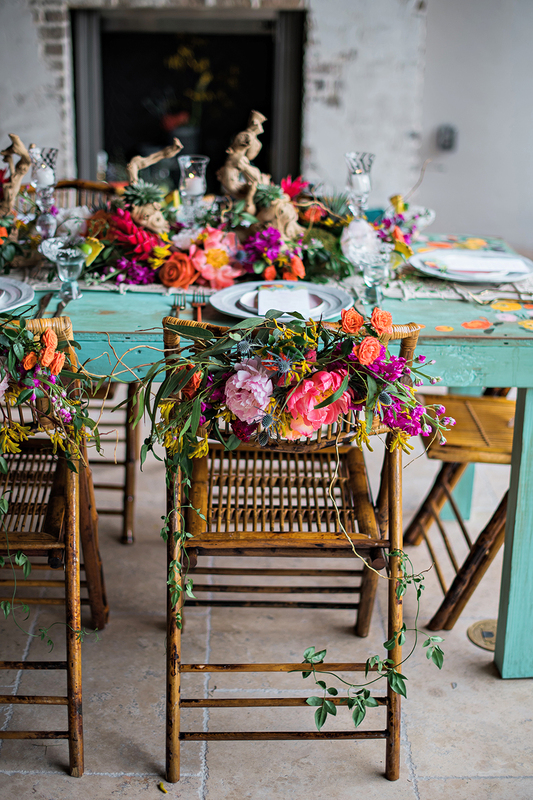 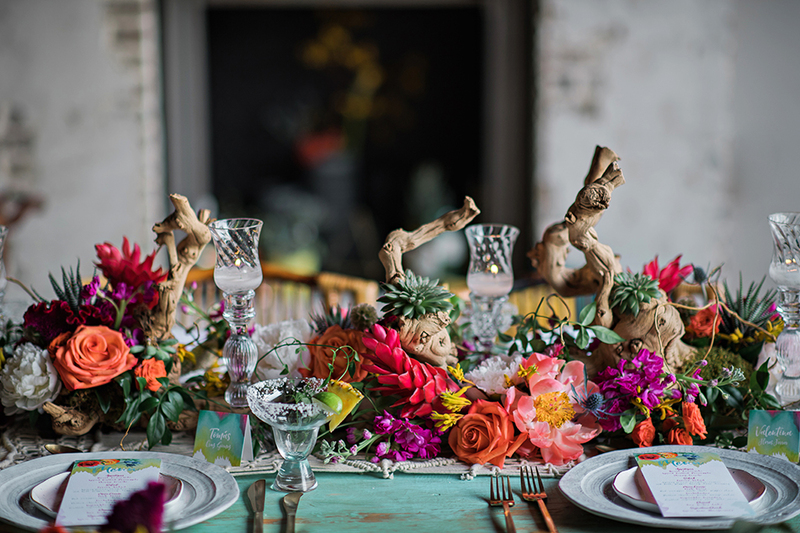 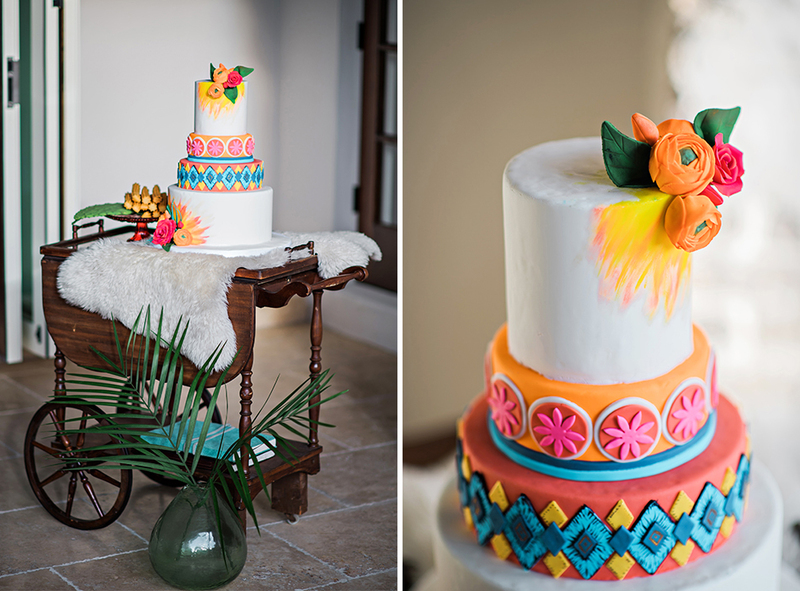 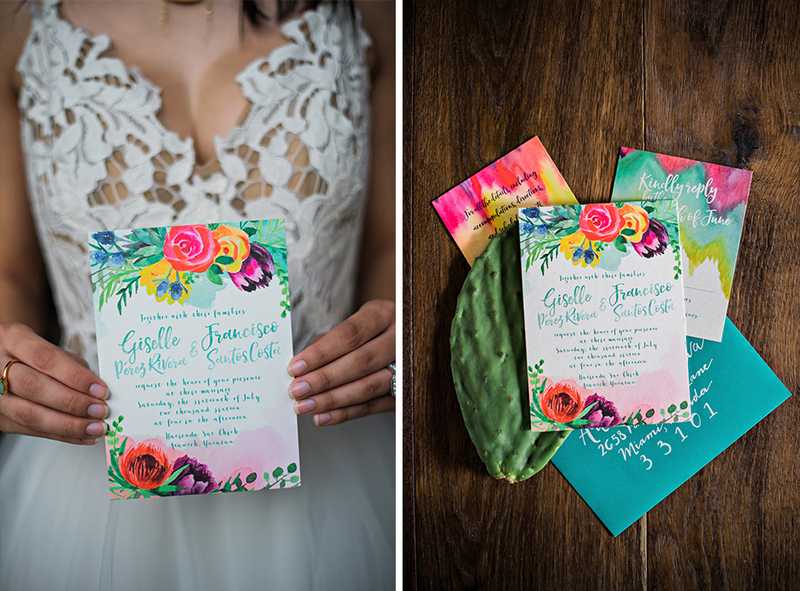 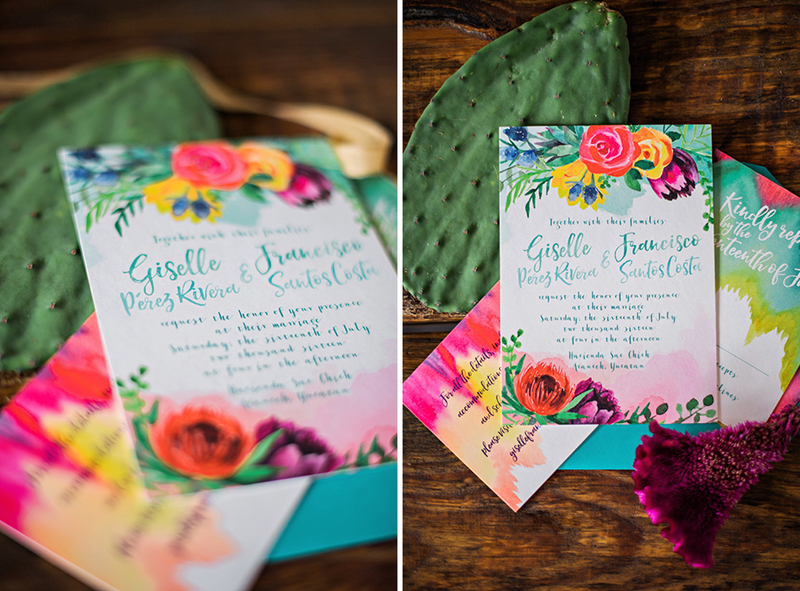 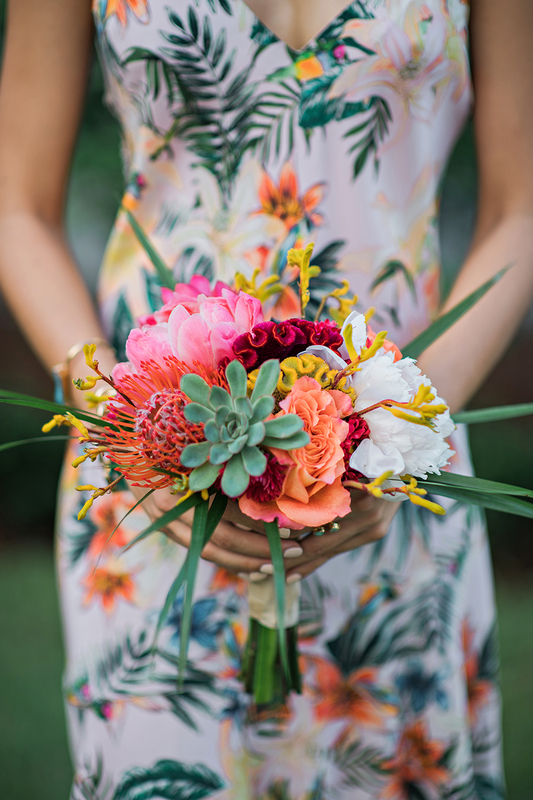 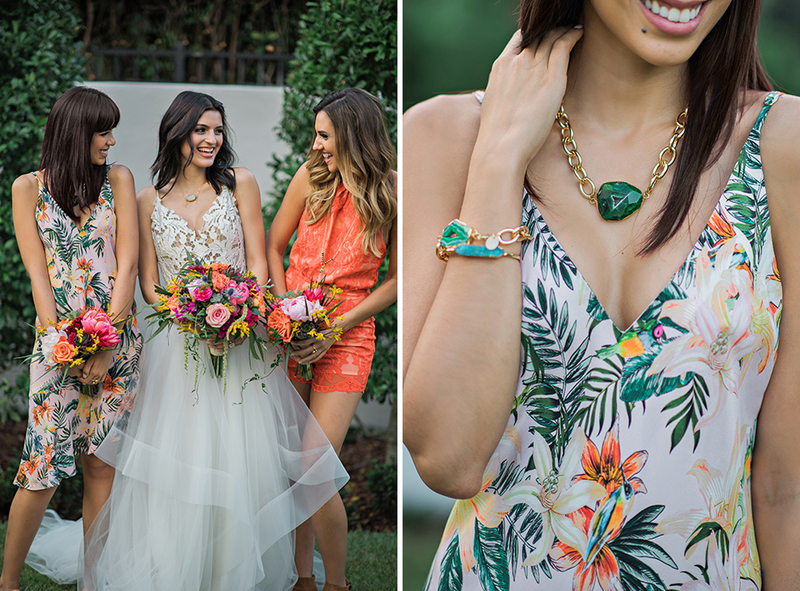 This colorful shoot is overflowing with gorgeous details including vibrant floral, handcrafted jewelry, and one of a kind floral design. 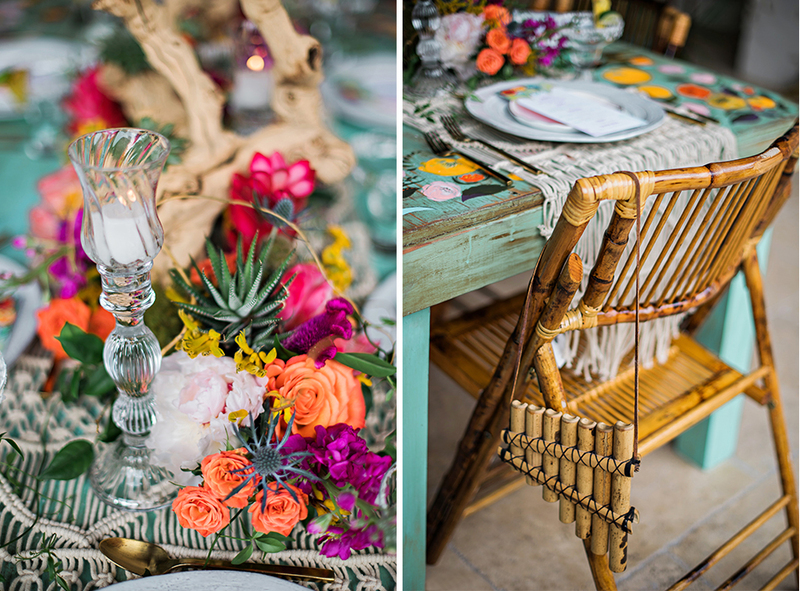 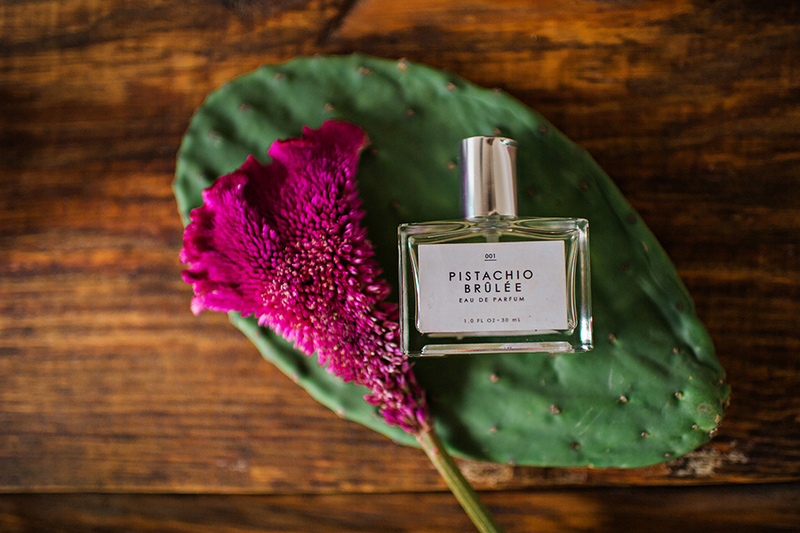 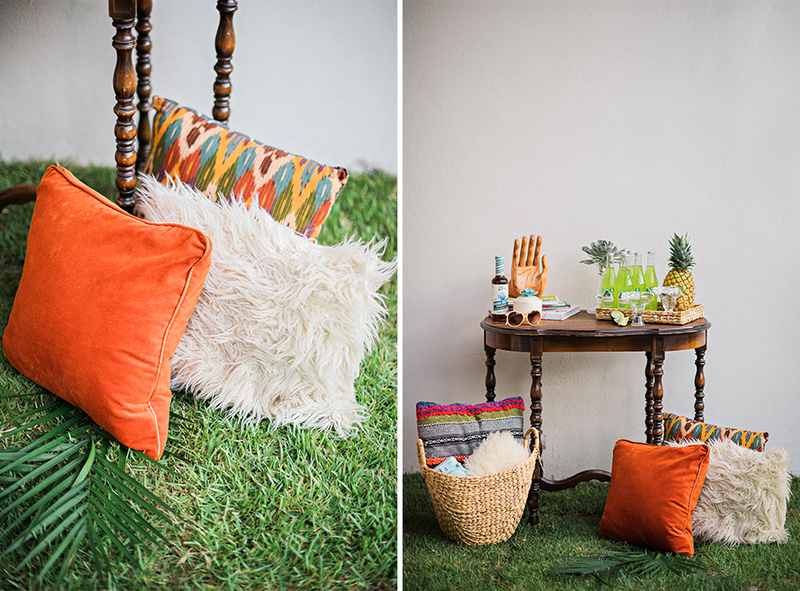 The shoot was inspired by the heart and soul of Mexico’s Yucatán Peninsula. 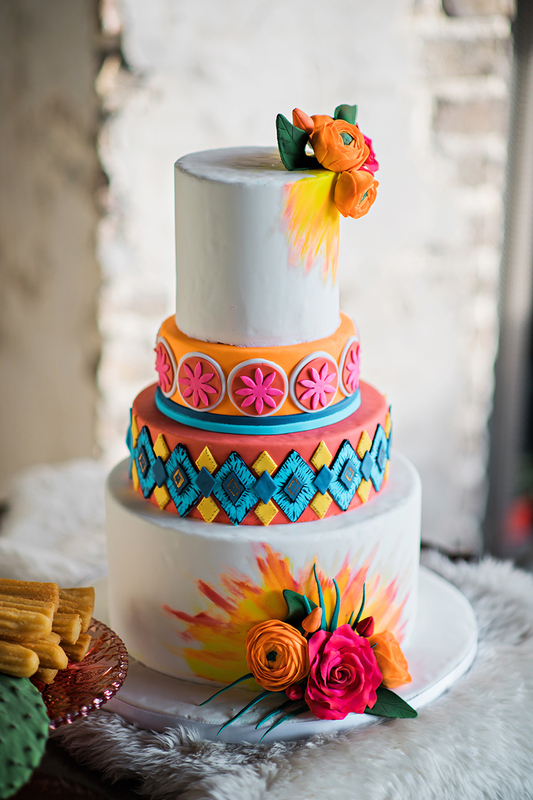 We wanted to draw from Mexican culture, while keeping a modern and unique feel. 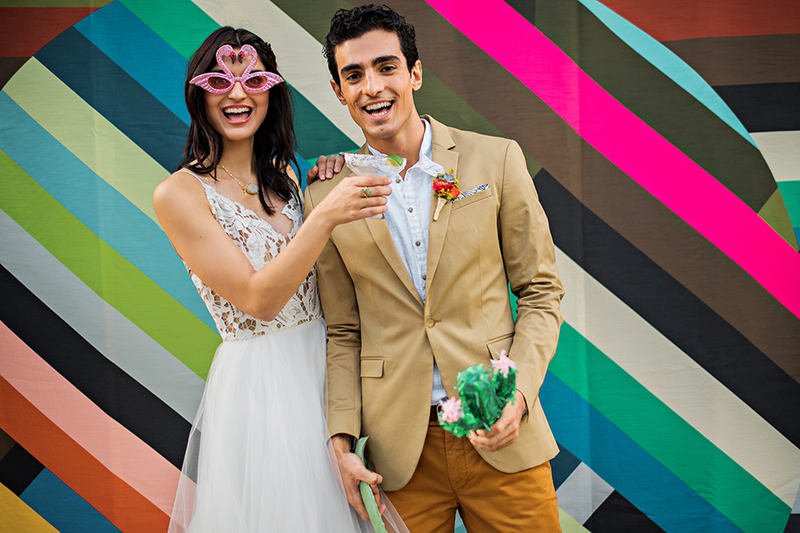 Inspiration shoots are a time to be unique in styling, and that’s exactly what we strived for with this shoot. 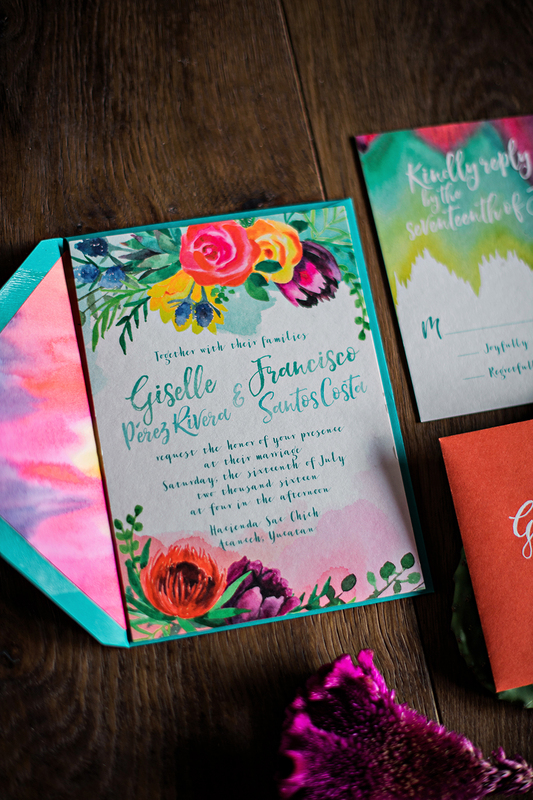 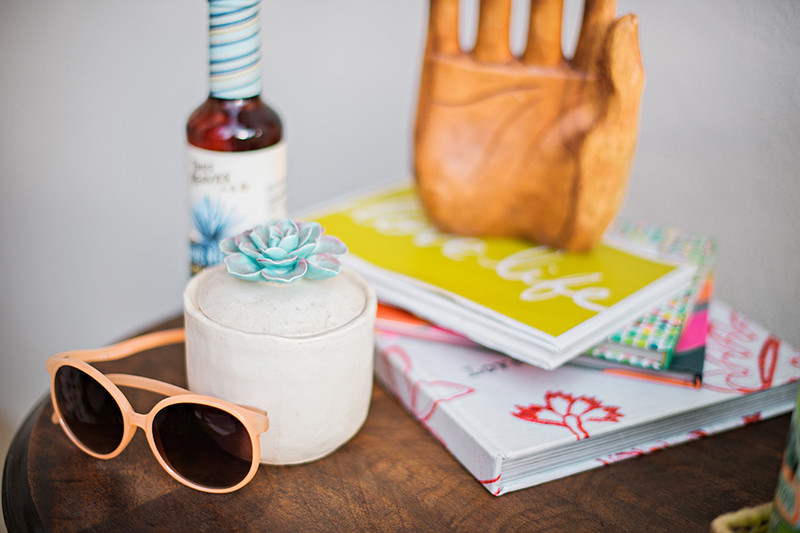 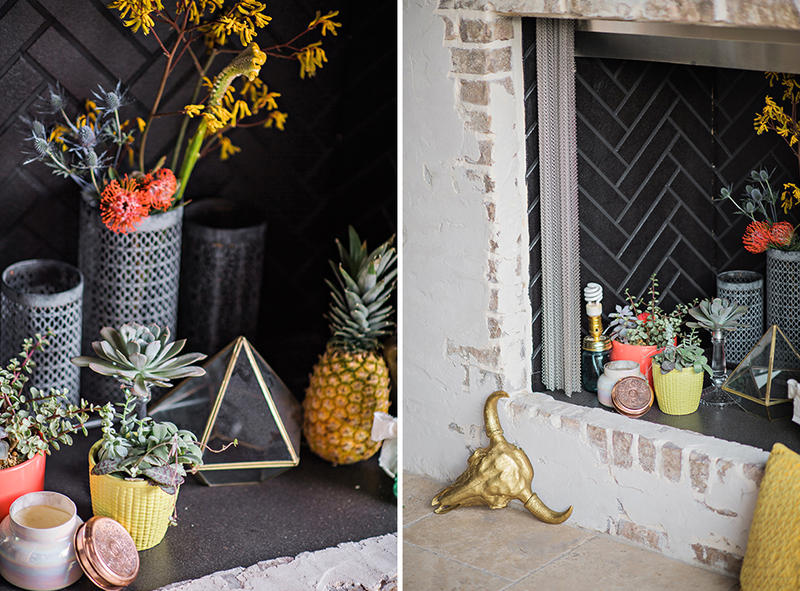 From the floral to the attire all the way to the stationery, we wanted to give a bit of fun inspiration. 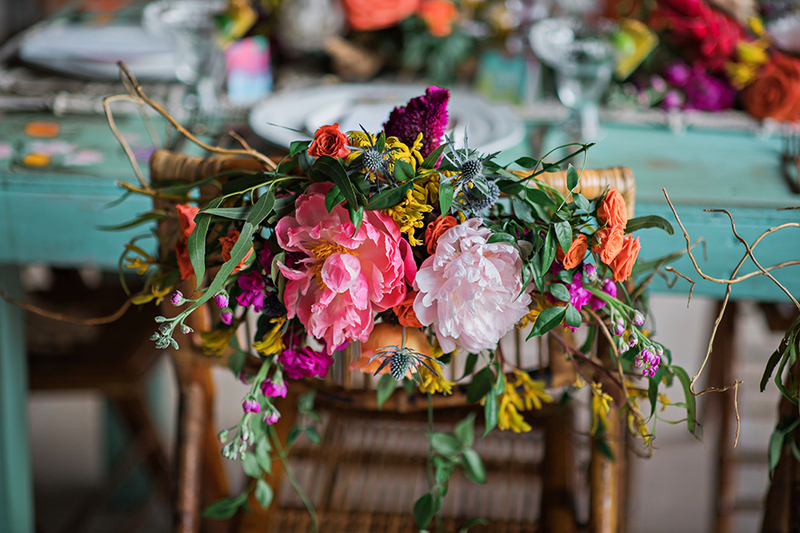 Our hearts basically turned to mush when Raining Roses showed up with the strikingly gorgeous floral. 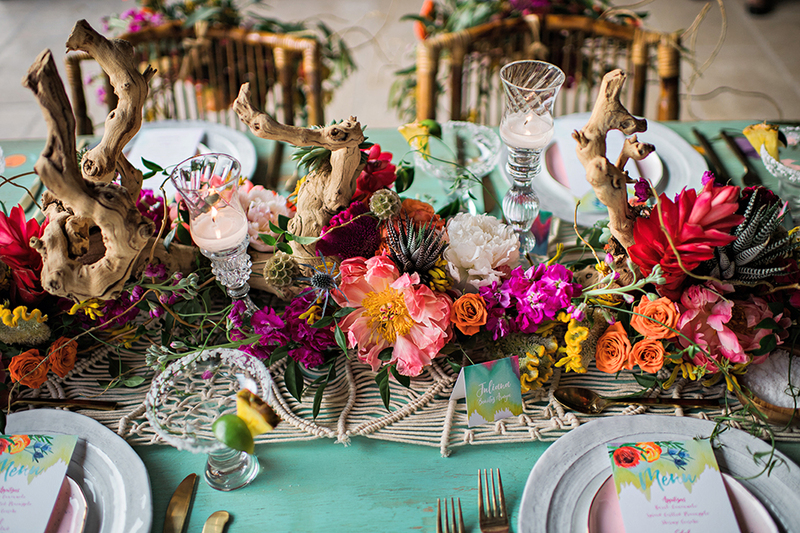 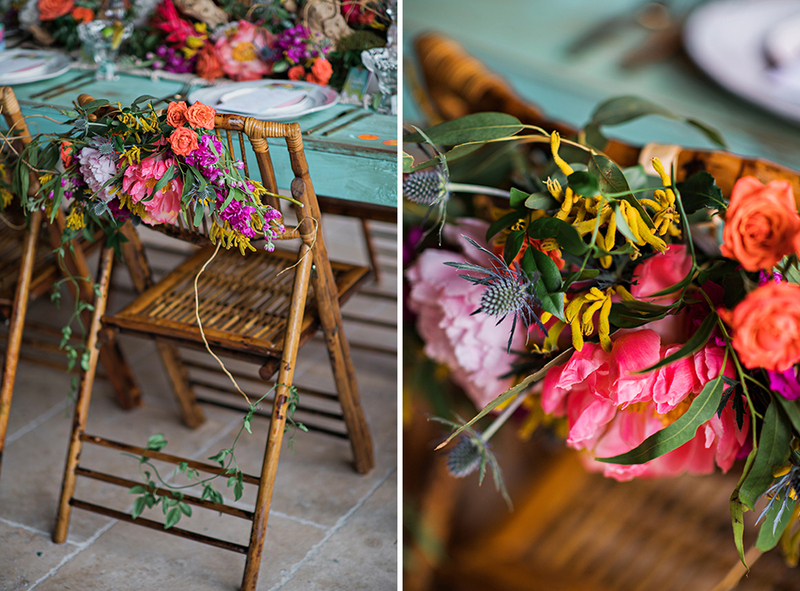 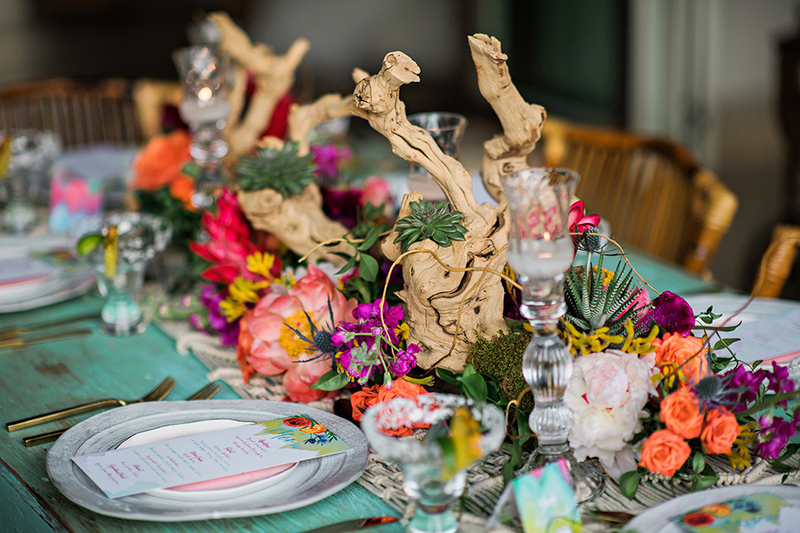 The driftwood centerpiece brought a beachy feel while the wild and multi-colored bouquets fit perfectly with the entire vibe of the shoot. 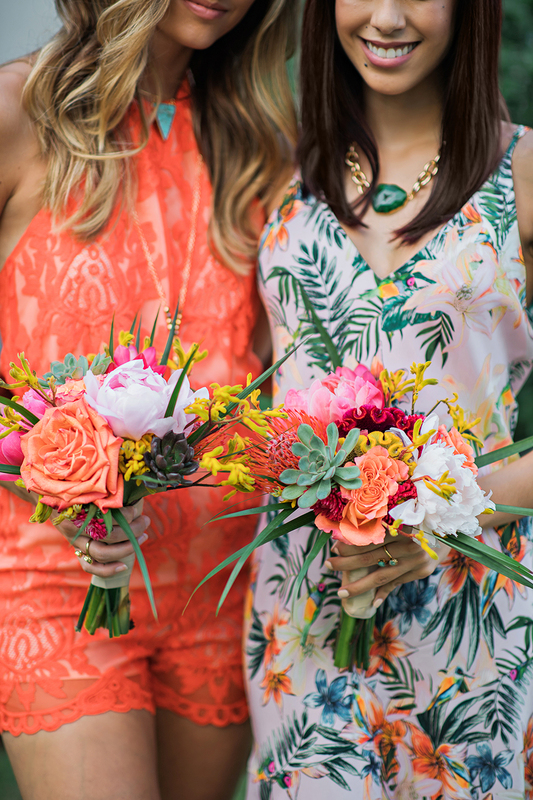 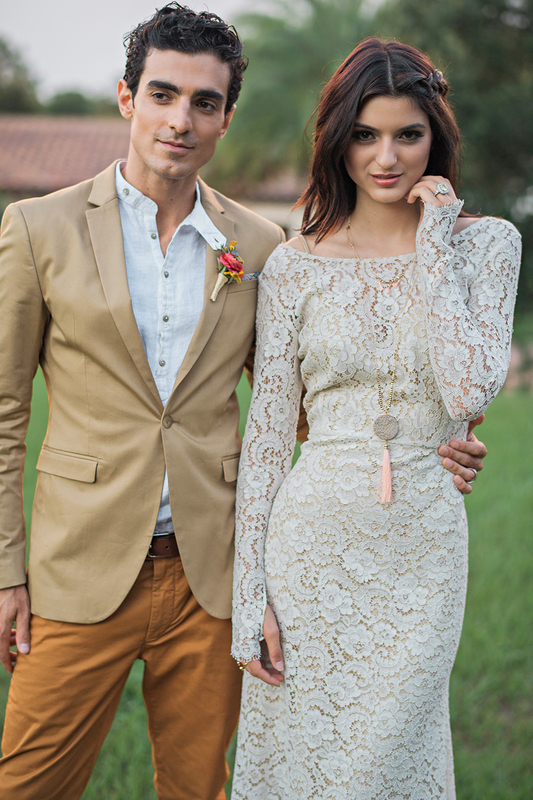 For the bridesmaid clothing, we wanted outfits that were dissimilar from one another, but paired perfectly together. 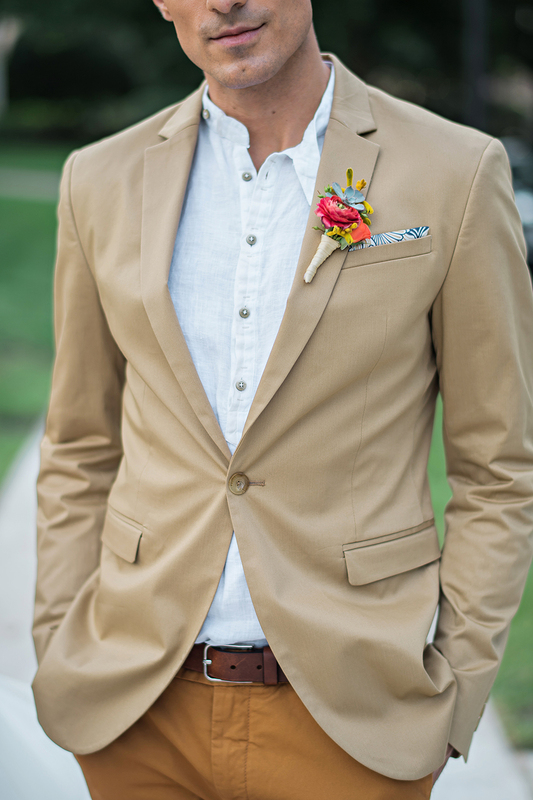 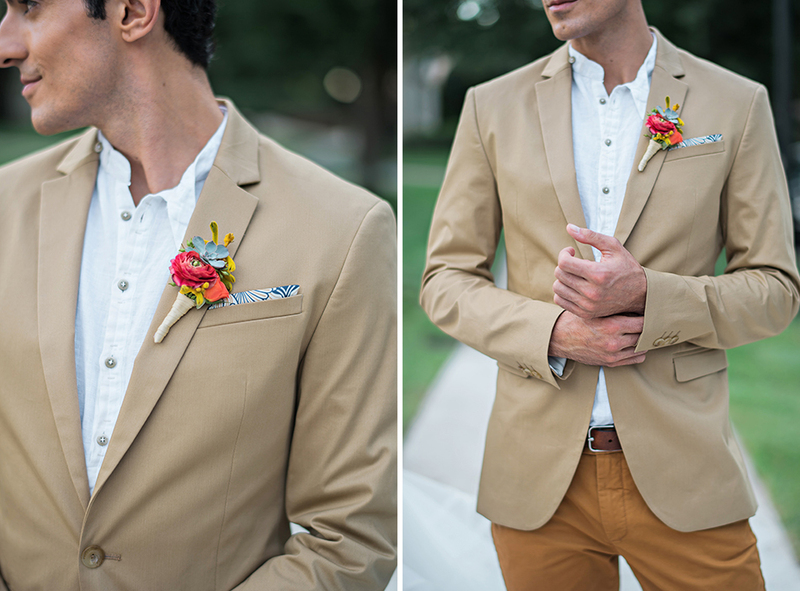 Rather than sticking with the conventional tux for our groom, we went with a pair of burnt orange slim fit pants and a linen mandarin collar shirt. 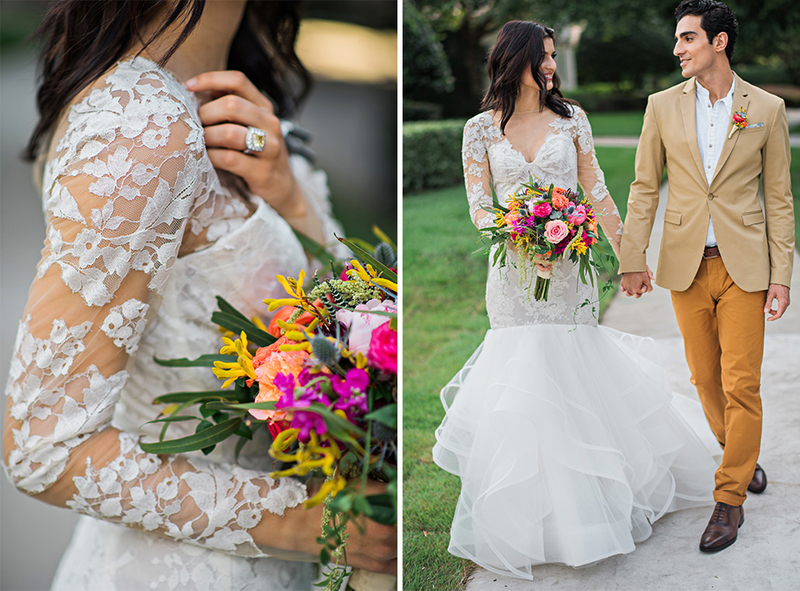 For our bride, we chose three gorgeous gowns that each had a different style from the next. 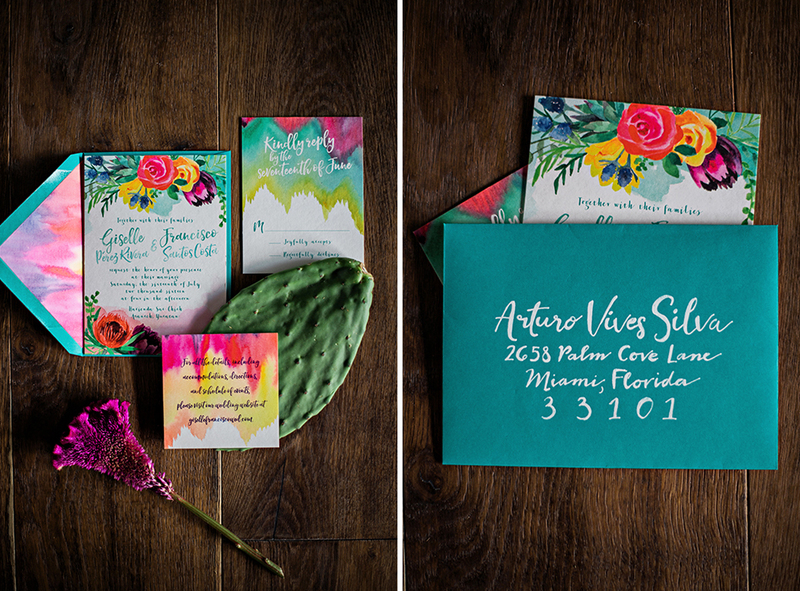 Lea from Lattice Tree Studio captured the feel of the shoot with her stationery in the absolute most perfect way. 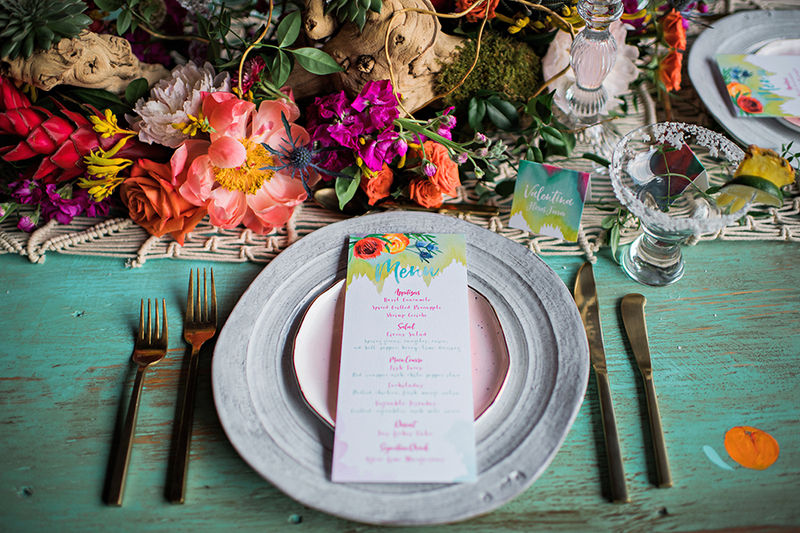 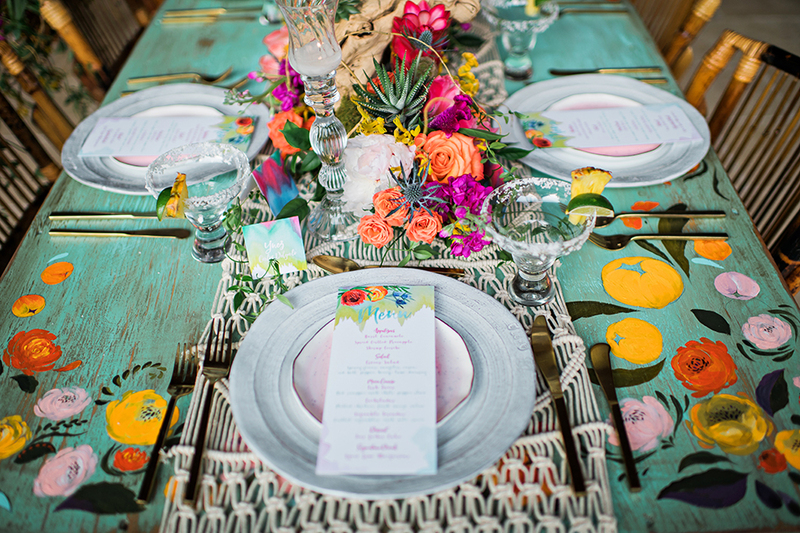 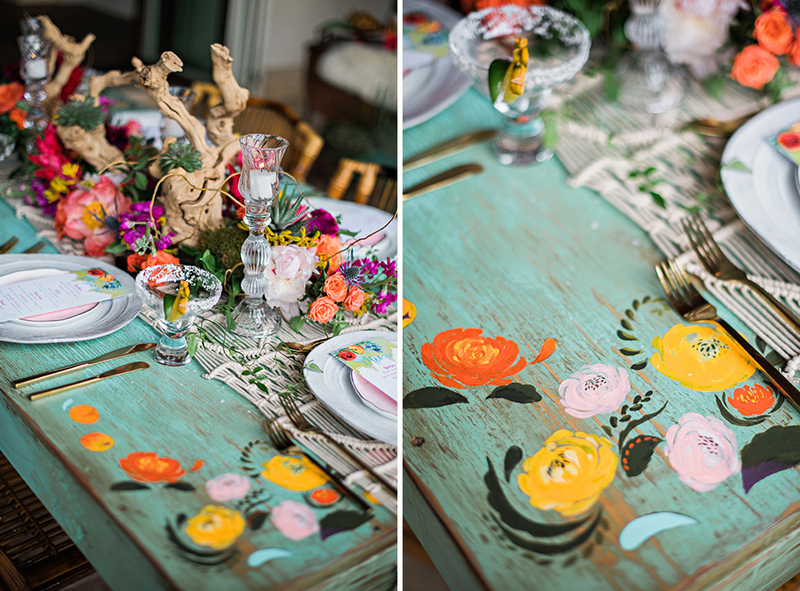 Her floral and watercolor designs paired along side our hand-painted table was seriously ravishing. 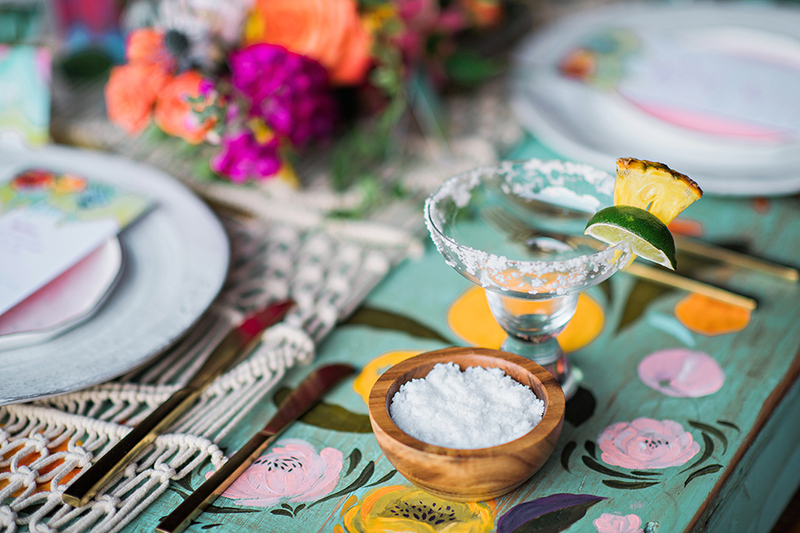 Yucatan Daydream – Editorial Shoot from KEJProductions on Vimeo.